This case was designed with the mobile recordist in mind. The case holds an Apple Mac Pro tower in a 2" foam lined compartment and a foam shock mounted 8 RU rack above the computer. 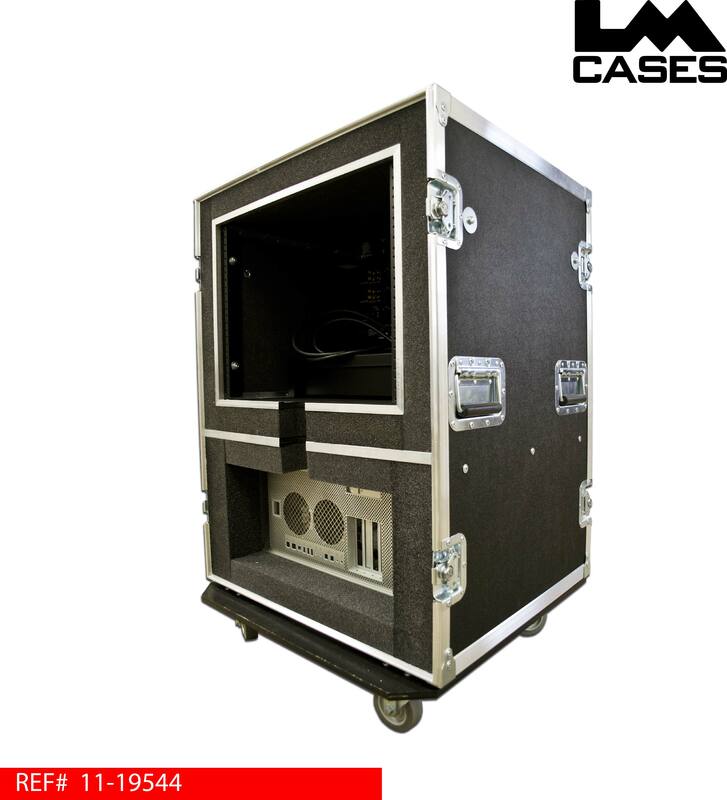 The computer is held in with foam blocks allowing the front of the computer to remain flush with the front foam of the case. The back of the computer compartment has blocks that hold the computer by the corners to allow room for all connections on the back of the computer and prevent it from moving front to back in the compartment. 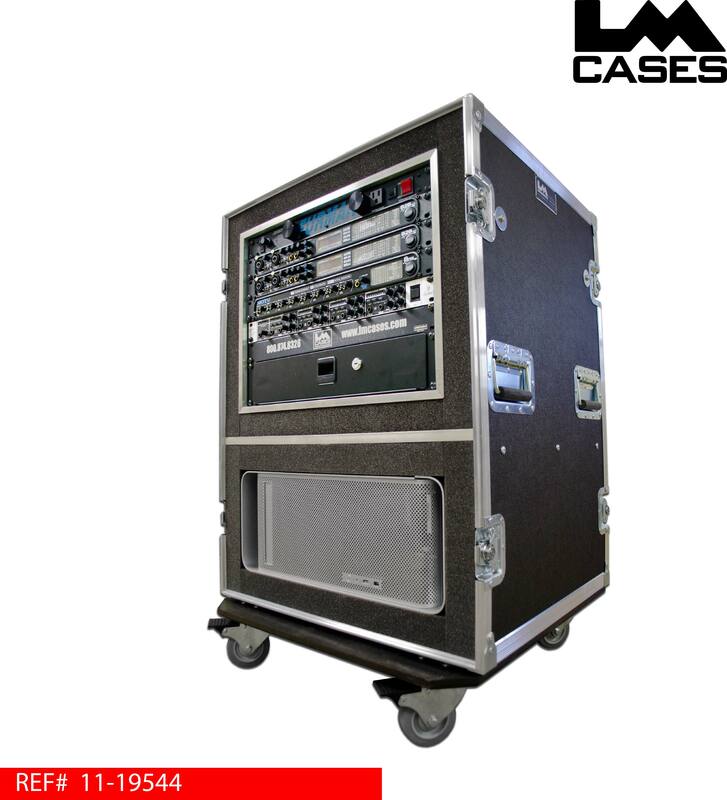 There is a "U" shaped cable passage between the computer and the rack to allow cable connectivity between the two compartments without interfering with the rear lid. The inner shock mounted rack is built out of 3/8" plywood and features front and rear pre-tapped 10/32" screw hole rack rail and a 22" shell depth. 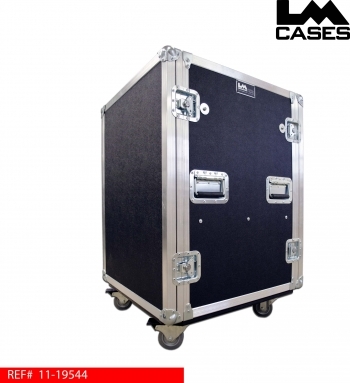 The exterior case is also built out of 3/8" plywood and features 2 locking & 2 non locking 3.5" casters.